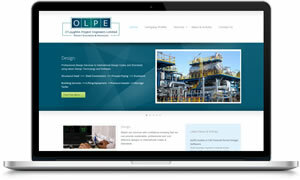 O’Loughlin Project Engineers (OLPE) is a Co Limerick based company specialising in engineering design & project management services, engineering fabrication and layout drawings. Clients range from small engineering companies right up to large multinational companies within Ireland and the UK. We were tasked with creating a corporate, industrial themed WordPress website which enabled them to share information about their services and expertise with current and potential clients.